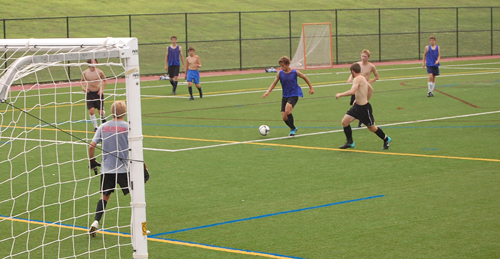 On Monday, August 16 Penn Manor High School’s fall sports teams started official practices. Field hockey, boys’ soccer, football, girls’ volleyball, girls’ tennis, golf, and cross country are working hard to get ready for their seasons. All fall sports athletes will be introduced at the Kick-Off Classic at Comet Field on Thursday, September 2 at 5 PM. The Penn Manor Marching Unit will perform at 6:30 PM. Watch for more details!